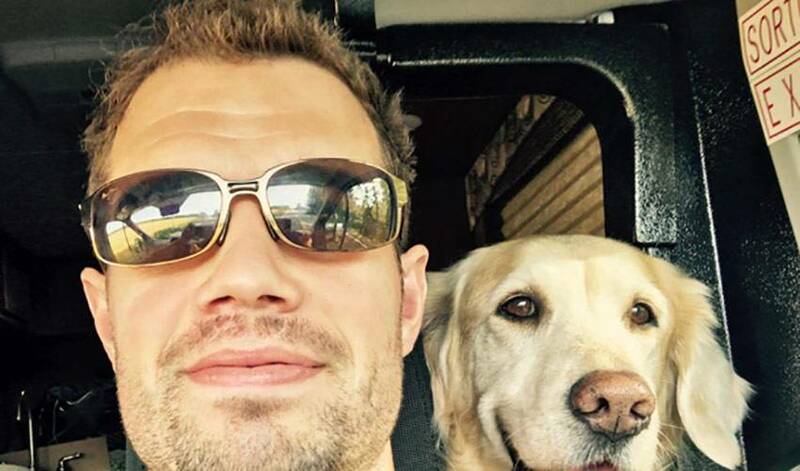 For the longest time, Marc-Édouard Vlasic admits he wasn’t much of a dog person. Social media tells a much different story. For the longest time, Marc-Édouard Vlasic admits he wasn’t much of a dog person. Social media tells a much different story. When you visit @Vlasic44 on Twitter, you’ll see pictures of dogs – lots of pictures. From birthday party and Easter photos, to World Cup of Hockey-themed snapshots, there’s no shortage of canine images. And that suits their owner just fine. The Vlasics currently have three dogs: Kelly, a Golden Retriever/Labrador mix, is almost 12, Nicky is a four-year-old Golden Retriever and Macy is an 11-year-old Corgi mix. No need to ask if the three – all of them rescues – are spoiled. Vlasic, who struck gold with Team Canada at the 2014 Winter Olympics and World Cup of Hockey 2016, is equally passionate about lending his support to organizations that work with dogs. While it’s not practical at this point in time, the Vlasics would love to add more dogs – perhaps the same number a hockey team ices every night – to their home. The dogs are never far from Vlasic’s thoughts. Even if there is the odd lost in translation moment. "Around the house, I’ll hear Martine calling to Kelly, in French, ‘love of my life.’ She’ll call her ‘mon amour.’ I’ll hear that and say, ‘Hey, what’s up?’ She’ll tell me she’s talking to the dog, not me. It’s funny. I really don’t mind. It’s just funny that I always react." It’s how any good dog person would.